This Turtle Beach Blanket Crochet Pattern is another gorgeous and useful blanket. Vibrant colors and adorable baby sea turtles adorn this fabulous blanket. The color palette resembles the colors of the ocean water and sand. 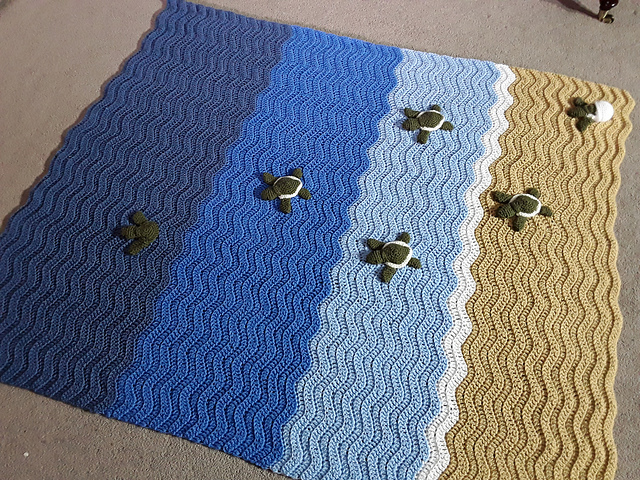 It has the ocean beach look with baby sea turtles on it. The gentle waves of this ripple are highlighted by the ribs at the edge of each stripe. This blanket will make the perfect photo prop for your newborn’s first photo shoot. It would make a great gift for photographers and new parents alike. It also makes a great baby shower gift. 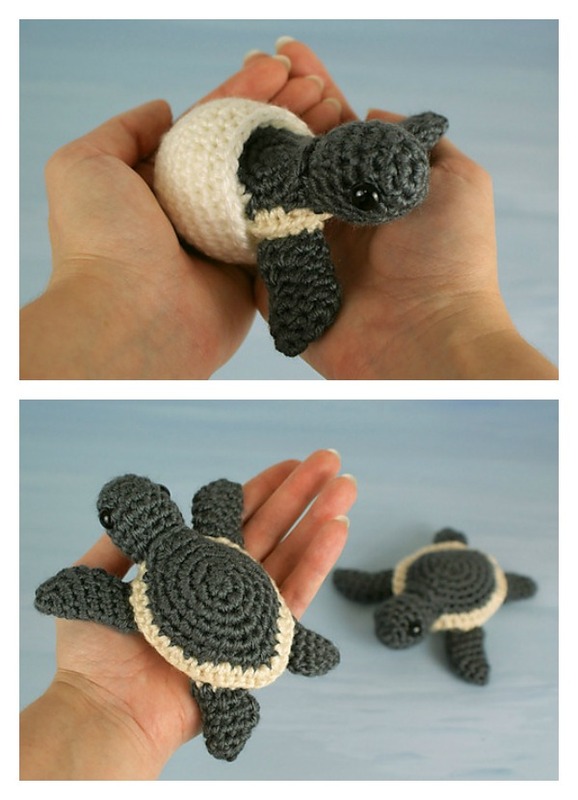 You can crochet as many turtles as you want and blanket as long as you would like it to be. The links for the patterns are provided below photos. Enjoy. You might also like 6-Day Kid Blanket Free Crochet Pattern and Video Tutorial.